Companies, charities, and associations use oversized checks or big checks for recognition as they would an award, when using dry erase lamination you get a reusable check. An oversized check is a symbol for a monetary award and is used at events to recognize an achievement. Big checks help make an event memorable while generation publicity and creating brand awareness. Dry erase giant checks are the perfect advertising tools for fundraising events and awards such as political campaigns and charity/church donations. Businesses can also use big checks for corporate awards, grand openings, employee rewards, sales bonuses, and more. Large checks are often used for sports, golf tournament fundraisers, and marathon winners. Oversized checks are great for personal use as well, celebration occasions, birthday jokes, wedding gifts, graduation gifts, or funny gift check. Big checks can also be used for contest winner awards, lottery winners awards, business large promotional checks, award big blank checks, dry erase big checks, etc. These oversized checks are great for press pictures, announcing donations with a giant check is great publicity and looks great on camera. PR firms and marketing gurus will always recommend oversized checks because they work! If you often use giant checks and do not plan on having the recipient keep the large check, you can use a dry/erase coating as an option making your custom jumbo check giant checks reusable as often as needed! Use any dry erase board marker and you can use your oversized check as often as needed. Buy your giant checks with the item below! An oversized giant check is a symbol of a monetary reward and is commonly used in events to recognize achievements. Giant checks can also be used in other creative ways: in politics and government, as part of corporate presentations, for donations, as a party prop and even for schooling/ academic purposes. Oversized checks ensure that your monetary presentation is noticed in a big way. 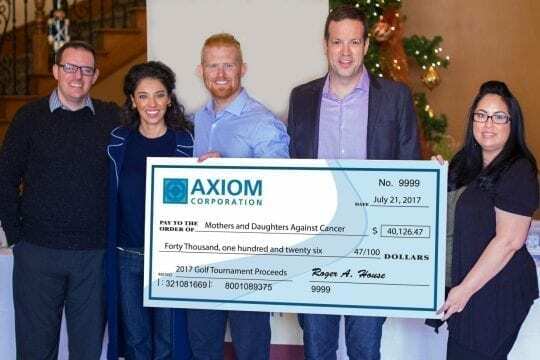 In fact, oversized giant checks are the perfect way for any business to present their prize money or contributions in a unique way ensuring that they are well-recognized for their charitable causes. Here are essential details to know about oversized checks. Dry Erase oversized checks are a perfect option if you will be using the big check multiple times. For the Dry Erase option, a lamination is applied over the customized check design you have chosen. This provides a glossy finish that prevents the Dry Erase ink from penetrating and thus can be wiped out. Liquid Chalk markers can also be used as they clean off better than dry erase. Giant checks help to make an event memorable while generating publicity and creating brand awareness. Witnessing a charity receives a large check is a rewarding experience – both for the observers and the organization. Supporting organizations that assist the disadvantaged in the society makes everyone feel good. If a giant check is customized with the logo and colors of the charity, it will make the moment even more special. Big checks can act as strong motivating tools for employees and individuals, especially when used for corporate awards, employee rewards, and sales bonuses. They can also be used to motivate individuals in sports, golf tournament fundraisers and marathon winners. Giant checks can also be used to contest lottery winner awards. Large checks are good advertising tools for both small and medium sized companies. Using oversized checks ensures that your money gets the media coverage and notoriety as cable stations and local newspapers attend the event to cover the ceremony. This can be very advantageous when introducing a new product, creating brand awareness or improving your publicity. In fact, most public relation companies and marketing experts always recommend large checks as a marketing tool because they work. 1. When not in use, store your large check flat to prevent damage. 2. If you are using a check with the “Dry Erase” option, use a dry-erase board cleaner or an ammonia free window cleaner to wipe or clean the surface of the check. 4. Always keep the surface of the check clean and dry by wiping it down with a soft lint-free duster or cloth. These are just some essential details to know about oversized giant checks. For more info about jumbo checks, contact Top Class Signs and Printing. These professionals will help you design an oversized check that matches well with your specific needs. Whether you are looking for a standard layout or something more custom, Top Class Signs and Printing can help you design an oversize check that represents your company, association, or personal image and fits your need. If your looking for Miami Printing Services, you can pick them up or come and see a live sample.